Happy Monday my beautiful friends! I hope you all had a great weekend! We had a wonderful time at the park Saturday and Sunday. The weather was absolutely beautiful, so it was packed with kids and Aviah was loving it! You guys, it's amazing how much growth and development happens in a year. If you saw the post I shared on Stories last week, you saw how big she's getting and I just can't handle lit. She's a little social butterfly and when she's at the park and sees a lot of little ones her age, she pushes my hands away and wants to go do her own thing. Like, what? Lol! To think that this time next year I'll be bringing two little ones to the park is just mind blowing to me. Happy Monday and Happy New Month, my friends! I've been wanting to wear these pants since I purchased them a few months ago. I had mentioned that I did a bit of maternity shopping at ASOS a while back and this is one of the pieces I got and it's still on sale! It also comes in a non-maternity version. 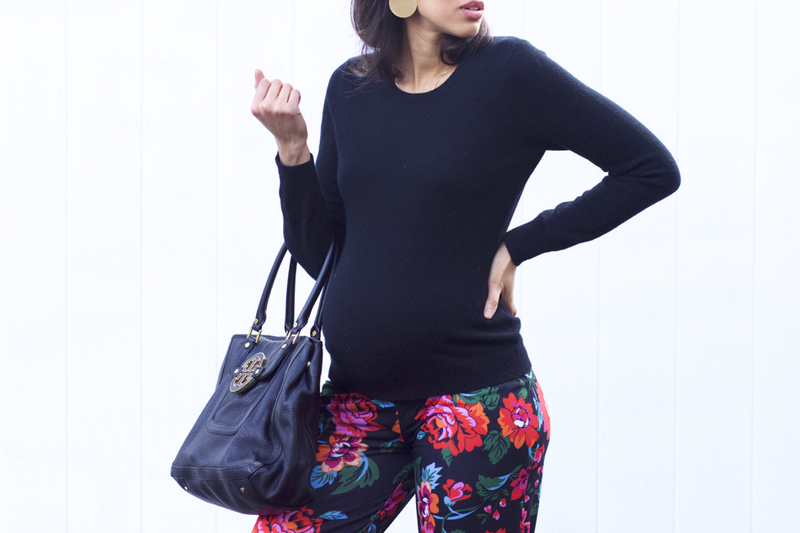 I typically stay away from large floral designs, but it seems as though when I'm pregnant I tend to gravitate towards them for whatever reason. I do pay mind to the other elements in my outfit when styling them though because as I've mentioned in previous posts, the larger pattern can make one appear larger and when you're pregnant, that's not something you want to do, trust me...you're gaining enough weight in a short amount of time as it is, haha. Back at the start of February, I shared a post introducing you (if you weren't yet familiar) to a maternity brand, Isabella Oliver. I styled their adorable pink hoodie, which I've been undeniably living in since I received it (see the post here). Eddie can attest to this, lol. It's so cozy and I love the pink shade. This time around, I'm sharing one of their dressier pieces, this beautiful top! What I love about it is that the style seems to be practical for post-pregnancy, since it has the front belt detail to cinch the waist. I'll definitely be seeing how it works after having baby girl. If looks just as great, it really does validate the price because it is on the pricey side. How's your week going so far? I hope it's been going good! You all know how much I love color and experimenting with unique color combinations, but I do have a profound love for neutrals. They're so easy, yet chic—not trying to sound cliché here. 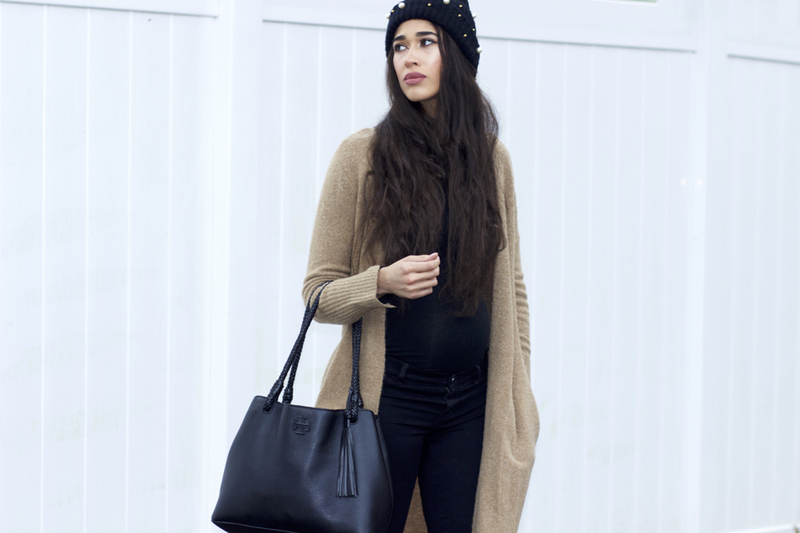 An all black look is hands down my favorite neutral to wear head-to-toe, but when it comes to mixing them together, there's something to be said about black and shades of beige or even taupe. I think they create a cozy mood to a look, even if the pieces themselves are elegant or dressy. This makes them perfect for wearing this time of year. Isn't it amazing how specific colors can evoke a particular mood? That never ceases to amaze me. It really does contribute more to the style process than we often realize. Towards the end of January, I received the Laura Mercier Flawless Lumiere Foundation Vox Box, courtesy of Influenster. I've personally never tried any Laura Mercier products before, but have heard such great things about the brand overall, but specifically on the cult favorite translucent powder, which I've yet to try by the way. Have you? This box showed up at the perfect time because I was running low on both primer and foundation. 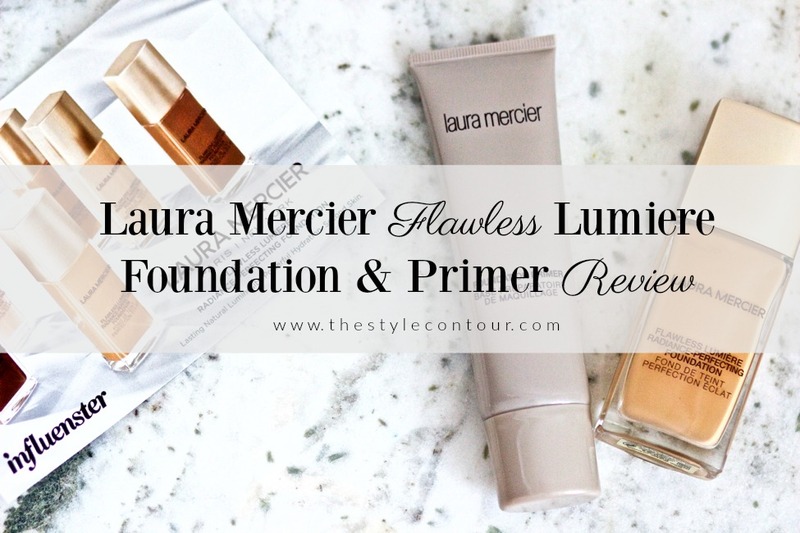 Though the Vox Box campaign is named solely after the Lumiere foundation, they also included the basic Foundation Primer as well. I not only tested how both worked together, but how each worked individually using either another primer or foundation from another brand to see if there was a notable difference, which there was...continue reading to find out more!